WECS' goal is to encourage and support all students. 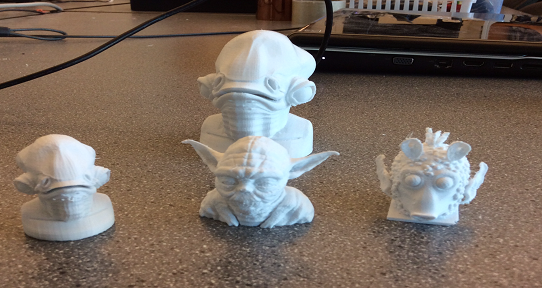 Our students have access to some great 3D printers. The team that took 2nd place in North America at the Windward Code Wars 2016 competition. Whether you want to help bring computer science to youth in the community, team up to build a new game, or compete in the next hackathon, there's a club for you! 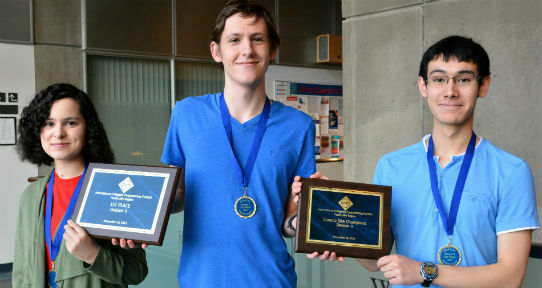 The Computer Science Course Union (CSCU) is a small student body that provides representation to UVic and the Faculty of Engineering on behalf of students in Computer Science degree programs and all students who are taking a Computer Science course. Additionally, we also organizes events, including free movie showings, LAN parties, and workshops. 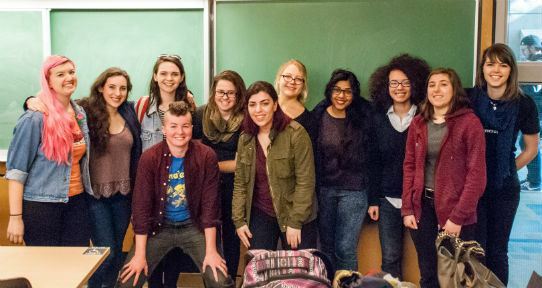 WECS is a Faculty of Engineering club that encourages and supports gender diversity in Engineering, Computer Science, and other technical fields. We engage in outreach programs with such organizations as the Girl Guides and middle school students. We host many events like Tea & Cookies, networking events with professionals at their Speaker Series, and review sessions for first year computer science courses. Everybody is welcome to attend our meetings. UVic GameDev is a club focused on making games, whether it be professionally or for fun, solo or in teams. Game Developers of all disciplines and skill levels are encouraged to check out our presentations or join a team and start making a game! The UVic Web Design and Development Club is a community of students who collaborate and educate each other about all levels of modern web languages and interface design. We enjoy making connections with local companies and start ups through organizing hackathons, meet ups, workshops, and guest talks. We are a great community to hang out with once a week, to learn from each other, and to collaborate on cool projects. LTD is a group of Engineering and Computer Science students that promote inclusivity and diversity within the fields. We encourage minority groups within the faculty, inclusive attitudes and interactions, and leadership opportunities for students. We run events including potlucks, discussion groups, hikes, scavenger hunts, crafternoons, and mixers. The UVic Programming Club is open to anyone with an interest in computer programming. Members compete in programming competitions, get practice solving problems, prepare for job interviews, and connect with like-minds. New members are always welcome. UVic Virtual is the University of Victoria’s student-led virtual and augmented reality club. We aim to help UVic students learn to build quality VR tools, experiences and games. We are partnered with on-campus labs that offer student access to VR equipment. Our members have varying levels of experience, and we share a passion for innovation, dynamic learning and asking questions. We learn from each other and develop our core competencies as we work together on club projects. Come on and join us! We're always looking for volunteers to help with many of our outreach programs. Meet new friends, learn new things, share your computer science talents. To join, contact Dr. Yvonne Coady or Sue Butler, undergraduate advisor.